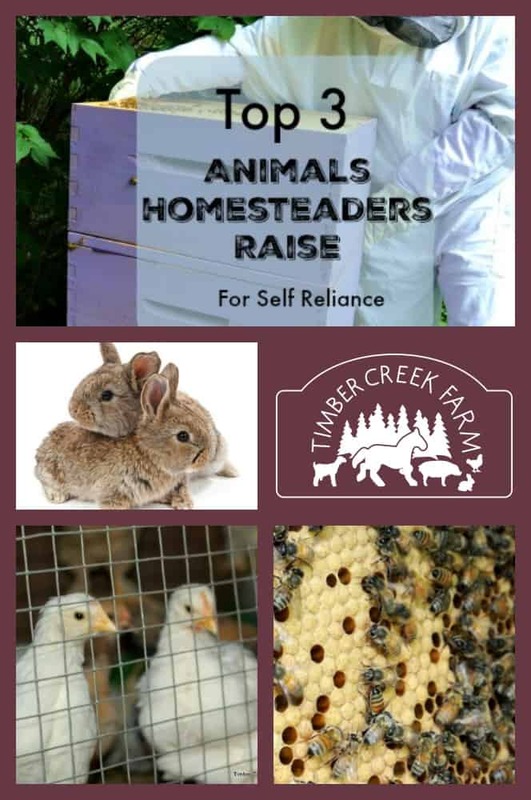 Rabbits, chickens and honeybees are my top three animals homesteaders raise. Honey bees do not provide protein, but they provide us with raw honey. Raw honey is healing and never goes bad. Rabbits and chickens grow quickly, Both rabbits and meat breeds of chicken provide your family with meat in only a few weeks or months. 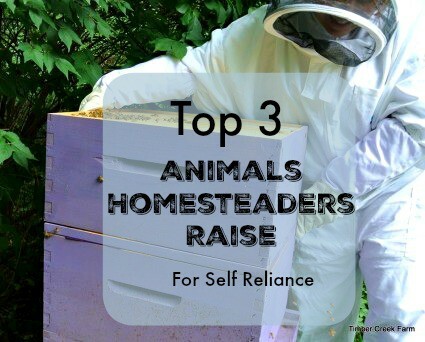 Other animals that could be a choice for larger self reliant homesteaders include pigs and goats. These often require more space and a larger building. Chickens, honey bees and rabbits can be kept in smaller yards successfully, as long as they are not crowded. Probably the most common animals homesteaders raise are chickens. Even a small backyard can accommodate a small batch of meat chickens. Meat breeds of chicken include Freedom Rangers, Red Rangers, Cornish Cross, among other breeds. 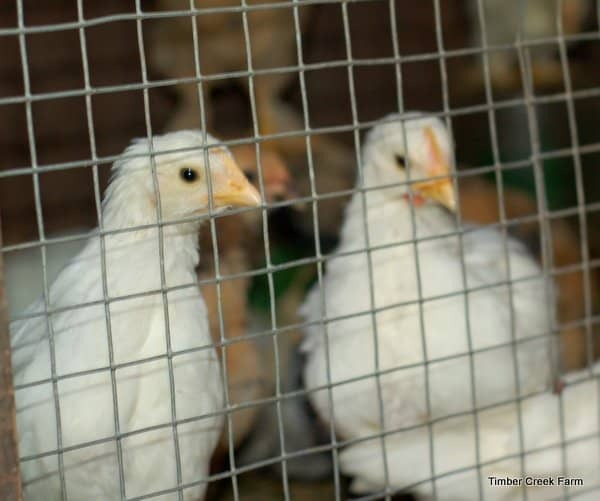 These broiler breeds grow very quickly and put on weight fast. While they still require the same care as egg laying breeds, they normally reach market weight around 8 to 10 weeks of age. Small batches of meat chickens are often raised in a tractor style coop. The chicken tractor can be easily moved around the yard. This allows the chickens to eat grass and bugs, and keeps your yard safe from over grazing. My personal way of being self reliant is raising dual purpose heritage breed chickens. Our chickens are kept for egg production but in the event of food shortage, could be used for meat. Some of these dual purpose breeds are Brahmas, Cochins, White Rock, Wyandottes, Australorps, and Orpingtons. Many people raise the dual purpose breeds, use them for egg production for a year or two, and then butcher for the family dinner. Some may wonder how this could be done, but the reality is, this is how our recent ancestors lived for a long time. Many people are going back to this self reliant way of life. Large, fully stocked grocery stores are a modern convenience. Only a couple of generations ago, families raised their own chickens for eggs and meat. In addition to being fun to raise, the chickens will provide eggs. If you choose to raise them for meat, too, that increases your progress in becoming more self reliant. Don’t overlook the garden benefits from raising chickens. The manure and shavings from the coop can be saved on the compost heap and used in the future as a powerful fertilizer for the gardens. Using the proper ratios for composting and letting the chicken manure rest for about a year will give you a dark rich compost for the gardens. Many homesteaders can’t think about including rabbits in animals homesteaders raise for meat. Rabbits are an excellent source of protein and should be considered as animals homesteaders raise. Meat rabbits can also become a source of income for the small landowner. Young rabbits are mature enough for butchering in only a few months. Like the meat breed chickens in many ways, rabbits are an efficient animal to raise. They literally turn grass into meat! Rabbits can also be raised in tractors similar to those used for chickens, as long as measures are taken to keep both rabbits and chickens safe from predators. Some people choose to use metal cages or pens for their rabbits. When using a wire floor, be sure to give the rabbits some flat surface to rest on. Rabbits kept on wire flooring with no where to rest often develop foot injuries. We chose to keep our animals in a habitat set up that closely resembles how they would live in the wild. 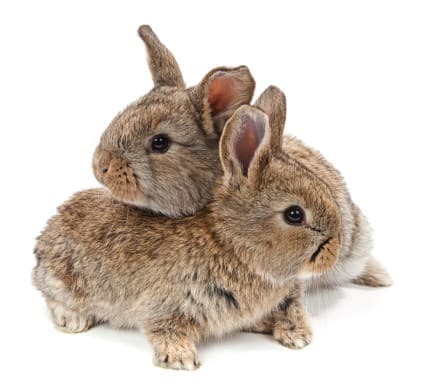 Allowing some space to dig and burrow, shade, soft bedding and plenty of fresh green grass and hay, pellet ration and clean water will allow your rabbits to thrive. Give the rabbits a secure shelter to stay in over night will keep them safe from predators. The litter and manure from rabbit hutches does not need to cool down before being used on the garden. It is considered a cool manure. I keep the rabbit manure separate from the chicken manure pile so I can add it to the garden sooner. Cooking rabbit meat is much like cooking chicken. It can be roasted, fried or boiled. Many people cook it with vegetables and herbs. Even if you don’t want to raise meat rabbits all the time, keeping a breeding pair, separated when you don’t want kits, means you are only a few months away from raising your own source of protein. And rabbits eat a lot less than a cow! Raising a beef cow takes at least a year and a half and lots of grass or hay. Rabbits might be the better choice for a self reliant homestead. 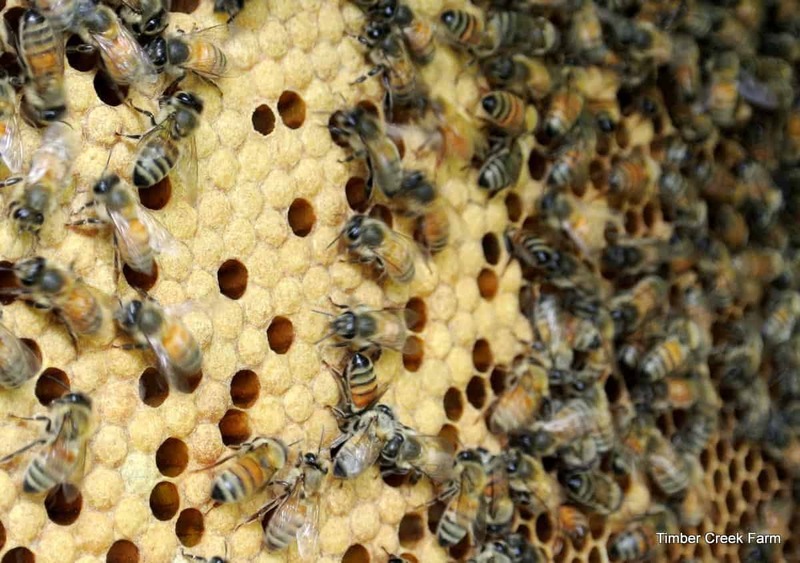 We have seen a surge of interest in honey bees. While the end result is different, because we don’t end up eating the bees themselves, honey bees do provide an excellent source of nutrition. Honey never goes bad either. Sweetening your food with honey is a healthier alternative than refined sugar and many people who cannot eat sugar can tolerate honey. In an emergency situation where you may need to be self reliant for much of your dietary needs, having your own source of honey in the backyard, will keep your food tasty and add valuable nutrition too. Honey also contains vitamins, minerals and antioxidants. And, honey contains some amino acids which are the building blocks of proteins. Honey is a natural antiseptic and can be used for wound care. The two main types of hives are Top Bar and Langstroth. The Langstroth hives are boxes called supers, and can be stacked a few high, with the appropriate spacers between the supers. The Top Bar hive looks more like a long basin on legs. Considering bees as animals homesteaders raise, should be a careful decision. There is a rather significant cost to start a hive in your yard. The supplies and equipment can be purchased ahead of time and kept until all is ready to bring the bees home. Since there is an investment involved, it is even more important to research beforehand. In many parts of the country there are optimal times for starting a hive. I recommend contacting the local beekeeping organization. Having a mentor when starting to raise bees can be very valuable. Out of the three suggestions listed here, honey bees take the least amount of day to day work or upkeep. We check our hive every day, looking for potential problems but this is done from afar. Feeding sugar water, at the end of the growing season, ensures that the bees will make plenty of honey for the colony to survive the winter. The time to harvest honey is more lengthy than when raising meat animals. It is often recommended that you leave the honey in the hive the first year. This gives the new hive colony plenty of food to make it through the first winter. Adding these animals homesteaders raise to your your home will greatly improve your self reliant status. There is so much information available to help you get a good start. When ever possible take a class and find a mentor. Being prepared beforehand makes the additions easier. Homesteading and building a self reliant home lifestyle takes time. Beginning now will help you have the skills you need in the event of a disaster or crises. Everyday will be rewarding when you learn to keep animals that help feed your family. What Kind of Chicken Coop Design is Best? We began raising ducks. They are so natural to raise and a percentage of the best meat we’ve ever had. In any case, butchering them is a bad dream. Does anybody have any thoughts to make it less demanding? Everybody needs to stop ducks as a result of this one problem.But I would prefer not to surrender the meat. I love to see more and more people raising honey bees. A hive can provide so many beneficial items for the beekeepers. Honey, wax, pollen, extra bees to sell !